For six straight years, Melbourne has been ranked as the most livable city in the world by the Economist Intelligence Unit (EIU). After spending less than a week there, I understood why. 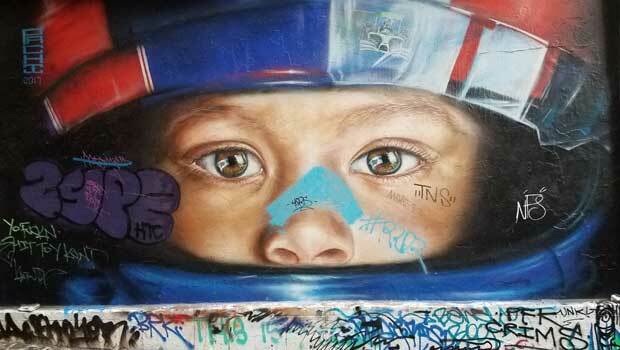 Street art is prolific in Melbourne. 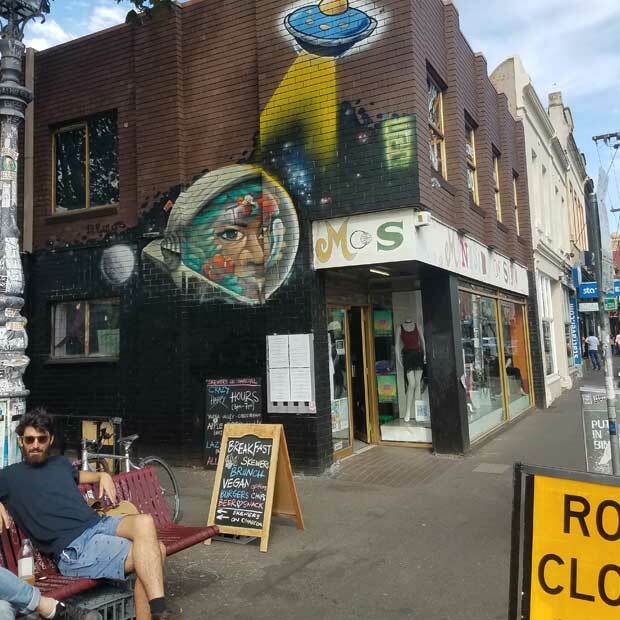 From large scale murals to stenciling to stickers, there is certainly no lack of talented artists residing in Melbourne. 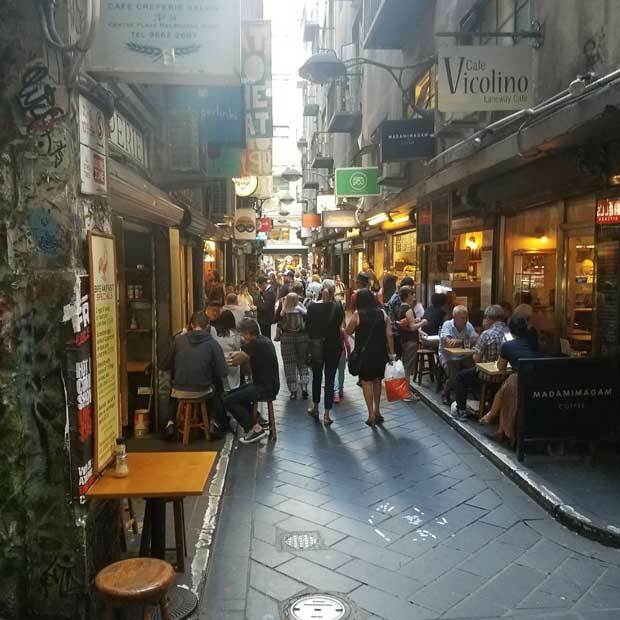 Some that are easy to check out include Hosier Lane (off Flinders Lane) and Union Lane (off Bourke St.), both in the CBD. 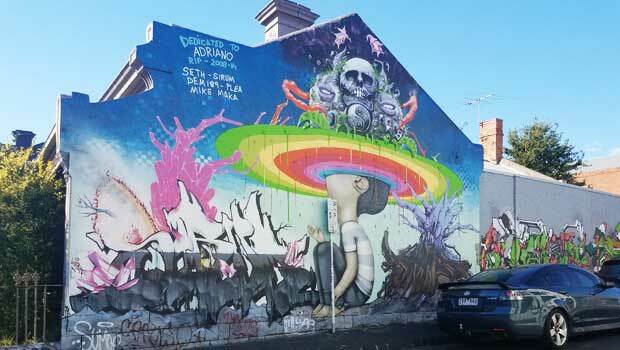 For entire neighborhoods of art, check out Fitzroy and Collingwood. Fun fact: Stenciling became a major form of street art in Melbourne at an early stage. Now Melbourne is known as the “stencil capital of the world,” and the first stencil art festival was held there. In fact, when DisneyWorld did an exhibition of famous cities around the world, they included a graffitied laneway to represent Melbourne! Public transportation is fantastic. There are trams EVERYWHERE throughout the city and it seems like you’re never more than five minutes away from the nearest stop. On top of the convenience, the Central Business District (CBD), is the designated “Free Tram Zone”, meaning, obviously, that it’s free within that area. Trams are clean, there are always attendants at the stops and you can refill your “Myki” card (tap-on-tap-off; valid for use on trains, trams and buses) at 7-Elevens, premium tram stations, and convenience stores. Trams also make for interesting traffic patterns, if you’re into that kind of thing. You can tell I really like street art. 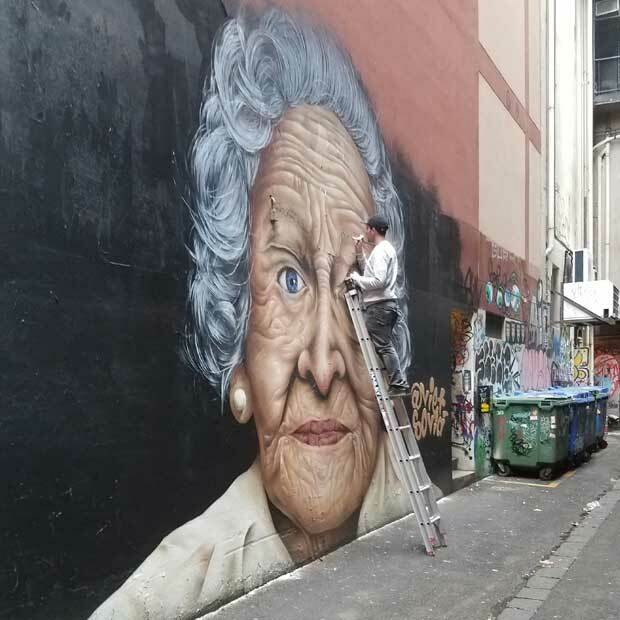 Murals are ever-changing in Melbourne, so if you’re living there for awhile, be sure to check back at the hot-spots often for new paintings. From the top of the Eureka Skydeck (Riverside Quay, Southbank; 10am-10pm daily), you can see many of the cultural landmarks of Melbourne. In the very back, you can see Melbourne Cricket Ground (MCG), where up to 100,000 Australian Football and Cricket fans can watch their favorite teams. 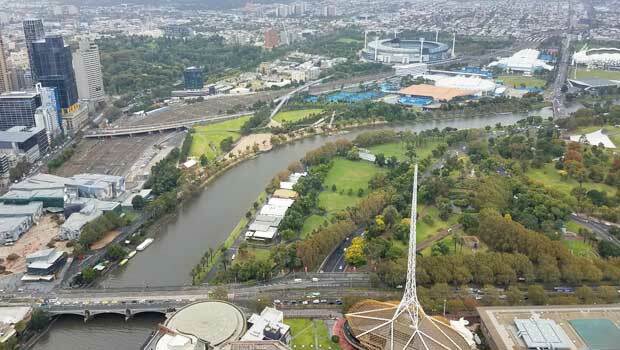 The river in the middle is called the Yarra River, which flows through the city and out into wine country. The Eiffel Tower-looking spire in the foreground is the Arts Centre Melbourne (100 St Kilda Road, Melbourne VIC 3004), whose base is designed to resemble a ballerina’s floating tutu. Australian Football League (AFL) is much more serious than I was expecting. 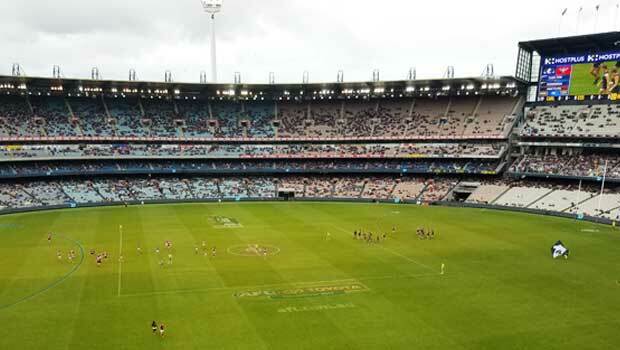 Even through the comically unpredictable Melbourne weather, dedicated fans sat in the rain in to watch their players play the most confusing game I’ve ever seen. Tickets start at AUD $25 for general admission. Side note: Melbournians have a public holiday for the AFL championship and have the day off work. All the Sydneysiders I talked to thought this was ridiculous (jealous)! 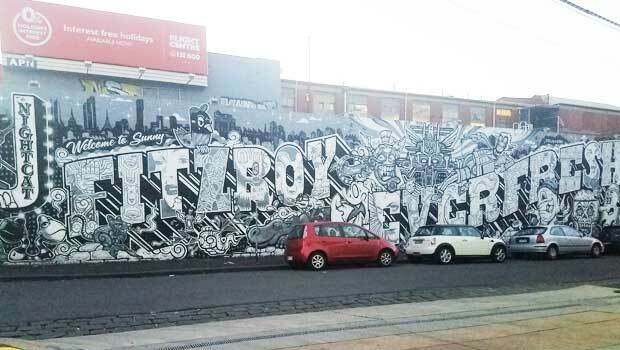 Fitzroy is one of the hippest neighborhoods in Melbourne. 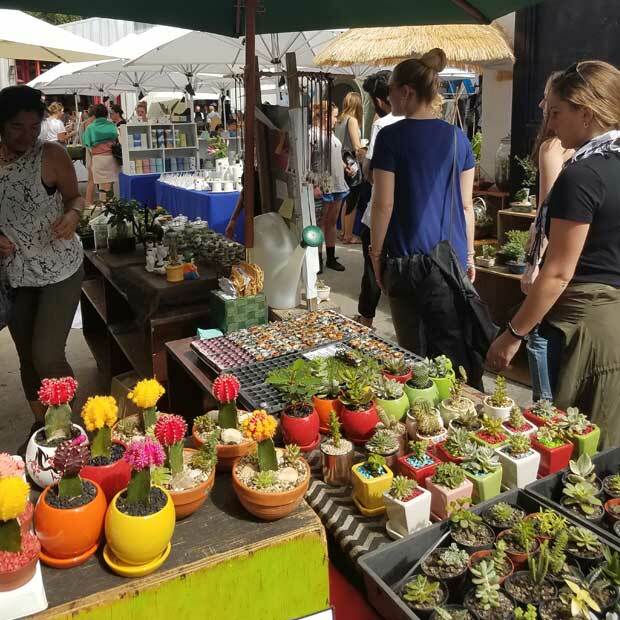 Just outside the CBD, it’s bordered by four main streets just filled with cafes, restaurants, vintage shops, and more. Great for brunch, shopping, or after work drinks. Mr. Wow’s Emporium (97B Smith St; 5pm - 1am) is a large and spacious bar with friendly bartenders. Monkey Jar (171 Smith St.; 11am - 6pm) has an excellently curated collection of vintage clothes (leave your wallet at home if you’re on a budget! ), Alimentari (2 locations - Smith St and Brunswick St; hours vary) has a beautiful, flower filled dining area in the back, perfect for lunch. Addict (7am - 4pm) is also great for a bright and sunny brunch or coffee. 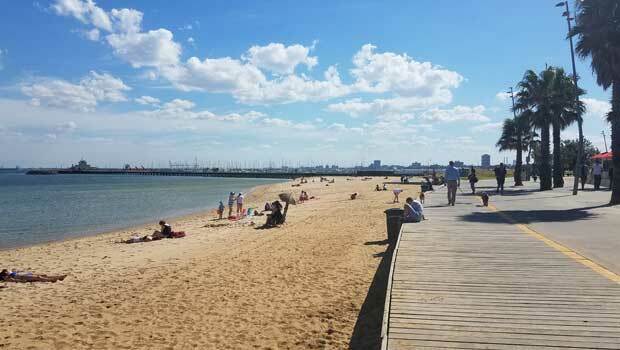 Just 30 minutes by tram from the CBD (line 16 or 96 will take you directly there) is St. Kilda beach. The beachwalk separates the sandy beachside from green fields on the other, perfect for playing sports or laying in the grass. Beautiful any time of the year. 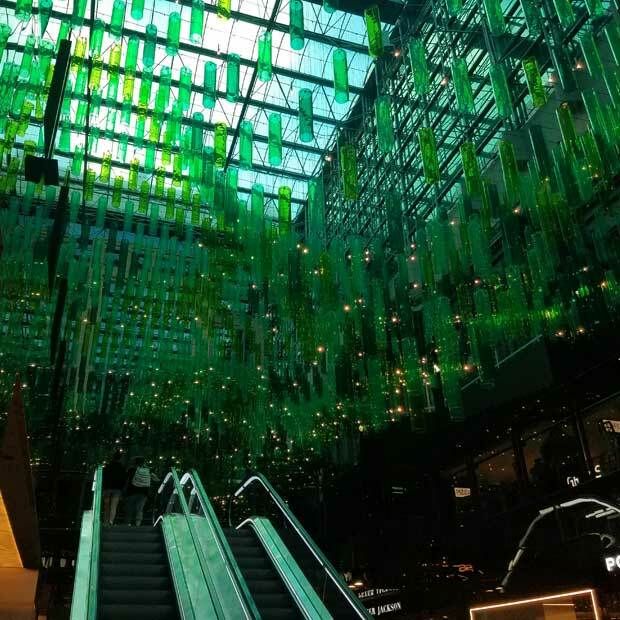 Even the shopping malls are pretty (St. Collins Lane - 260 Collins St.). Arcade style and tastefully designed, you can find your favorite fancy digs or just play ping pong for an afternoon. Cafe-laneways were one of my favorite things about the city. Melbournians in particular are obsessed with their coffee and are self-proclaimed connoisseurs, famous around the world (according to my Uber driver). Walk down any alleyway in the CBD and you’ll find warm, tiny cafes with guests spilling out onto the sidewalk, taking a break from the bustle of the city. Queen Victoria’s Market is a flea market-cross-farmer’s market that seems to go on for miles. You can find anything you want there, from fresh produce to leather belts and souvenirs. There was even a spot to get a haircut. The music scene is strong in Melbourne. 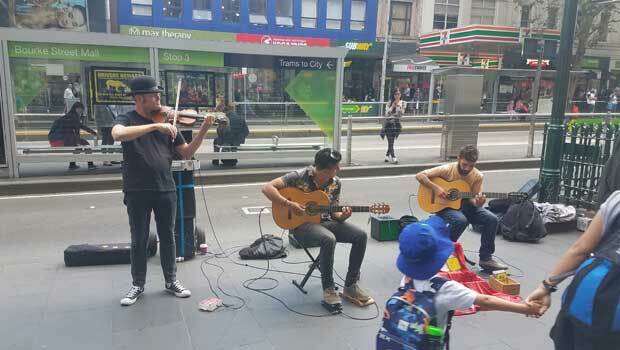 From the flyers on the street posts to buskers on the street, Melbourne’s artistic talent is not just for the painters. 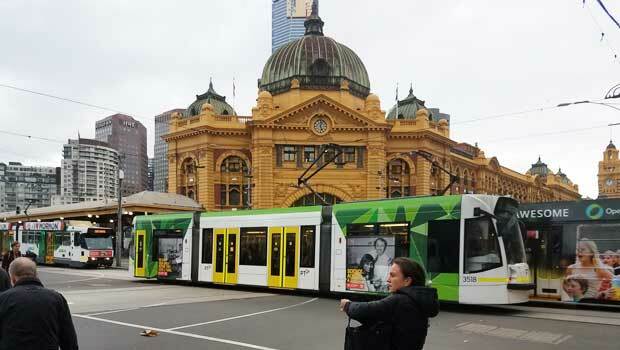 Melbourne is a small big-city with an interesting history and a vibrant culture. It was hard to pull myself away from such a beautiful place. If you ever find yourself in Melbourne, you can count yourself very lucky!